Well, it’s almost 2 months since my last post. Apart from a serious eye injury a week ago when a plastic cork exploded in my left eye, while celebrating moving into my new flat, meaning I have spent a considerable amount of time in the French national eye hospital behind Bastille opera house – I am writing this post with one eye in use – it has been a good period for my writing. Fingers crossed, I’ll regain much vision. First, on 19 May I was guest poet at the Paris Lit Up weekly poetry open mic evenings in Belleville. This gave me the opportunity to read a large body of work in two slots of about 20 minutes each. I had just come back that day from a trip to Berlin, Leipzig and Dresden, and so included a recent poem about Angela Merkel. 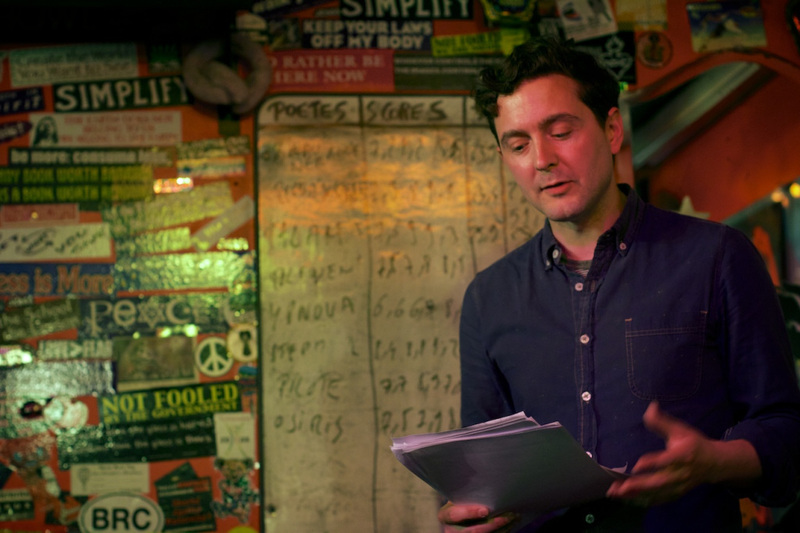 On the spur of the moment I decided to take the audience on a little European tour as I realised I had quite a few poems on France, Italy, Spain, Belgium, The Netherlands, as well as the US. It was a fine evening with a really supportive crowd, reviewed here by Kate Noakes. Second, on 30 May I attended the launch of South Bank Poetry magazine, issue 18, which is the second anthology produced by SBP, this one containing the winning poems from the competition selected by Clare Pollard. It was fantastic to read my poem which Clare chose for first prize, called ‘Gare du Midi’, a poem that I had written a few years back following an encounter with somebody at the Eurostar terminal in Brussels who was trying to get to London. It had played on my mind for a long time afterwards because I had felt totally helpless, the situation quite pathetic. A ‘full’ evening downstairs in the basement of the Poetry Cafe, and a chance to hear excellent prize-winning and commended poems by Robert Peake (he has made a short film of his poem ‘Jellied Eels‘), IanMcEwen, Michael Brown and Ellen Cranitch. My poem is a dialogue, which I read impromptu with SBP editor Peter Ebsworth. Peter and Katherine have been kind enough to publish my poems in several issues of the magazine but this was the first launch I could finally make. 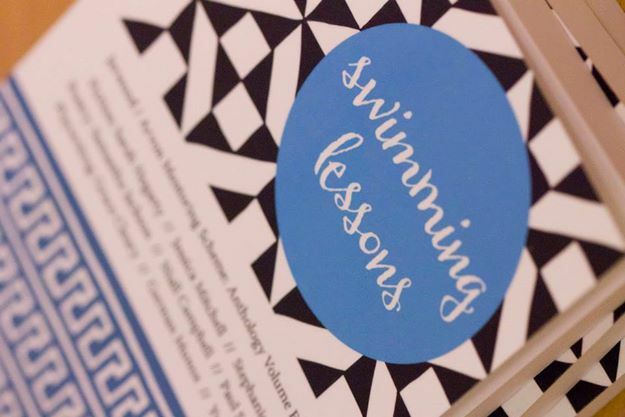 Third, on 17 June I met up with the other mentees from the Arvon / Jerwood mentoring scheme to celebrate the launch of out anthology ‘Swimming Lessons’ at the Free Word Centre in Farringdon. A brilliant opportunity to get together and present our work to an audience of friends, organisers and sponsors. Some truly original fiction and playwriting, with poems by me, Niall and Sam. Niall Campbell was reading from his beautifully textured debut collection ‘Moontide’ by Bloodaxe, which is a Poetry Book Society Recommendation and nominated for the Forward Prize for Best First Collection. 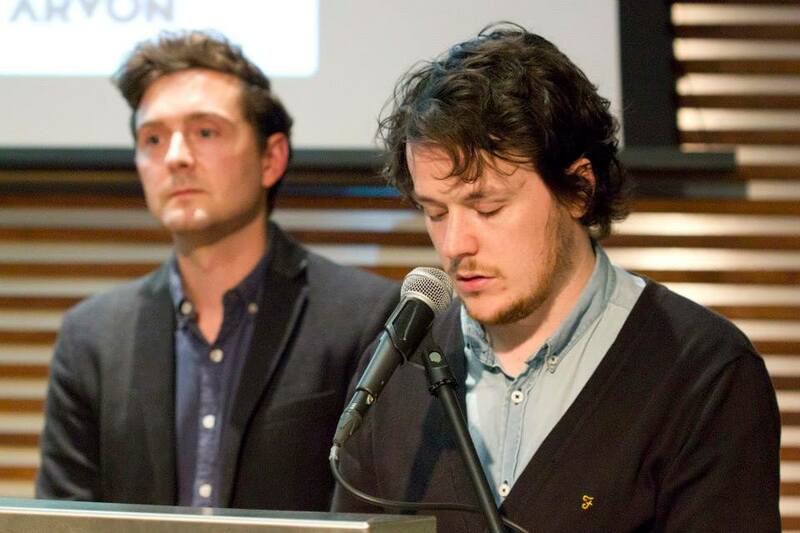 Sam Jackson was absent but Niall and me read her poems, some of which will appear in her forthcoming Eyewear pamphlet. We also heard fine extracts of ambitious novels in progress by Sarah Hegarty, Jessica Mitchell and Stephanie Scott, and were entertained by heated and hilarious scenes from plays by the talented German Munoz, Yvonne Smith and Grace Cleary. Thanks Suzie Jones for organising the evening and producing such a beautiful anthology, and of course, to Patience Agbabi, who has been inspirational, her newly published ‘Telling Tales’, a vibrant remix of Chaucer with adventures in form. You really have to check out Patience’s tour dates and find a way to see her perform – mesmerizing! Fourth, 5 July was the prize evening for the Ware Poets Open poetry competition judged by Roddy Lumsden. Unfortunately I could not attend because I was moving flat next day (in fact the fateful day of my injury – if I had made the launch evening, the incident would not have happened!). I have heard from those who attended that it was a brilliant evening with Roddy reading new poems from his forthcoming collection (people were laughing and crying apparently). Prize winners included Ian McEwen and Kate Wise. My poem, ‘Eight Faces of Anne Hidalgo’, written about the newly elected first women mayor or Paris, came second and I recorded the poem here. The poem is published in the anthology alongside two poems also commended by Roddy: ‘All about Wendy’ and ‘Waiting on the Weather’. Thanks to Geraldine Clarkson for her lovely comments about my poems. Finally, I am still really over the moon to have been selected as one of the Aldeburgh Eight, a scheme run by The Poetry Trust. I really had my heart set on it. It’ll mean I get to attend the festival in November – the last one to be organised by Naomi Jaffa – and then take part in a week long writing seminar with seven other writers, tutored by the brilliant Peter Sansom (‘The North’) and Michael Laskey (‘Smiths Knoll’). I’m really looking forward to this protected writing time and excited about the new work that may result. With Arvon/Jerwood and the Sheffield Poetry Business Writing School behind me, I think this is the next logical step in terms of building up a body of work for a pamphlet and/or collection. Best of luck with the eye, I hope it is really on the mend. Where can I hear/ read the Rain in Spain sestina? Congratulations on all the successes, I am so pleased for you. I was going to ask you to come by for the launch of Border Line on November 8th, but it sounds as though you might be otherwise (and very happily) occupied. 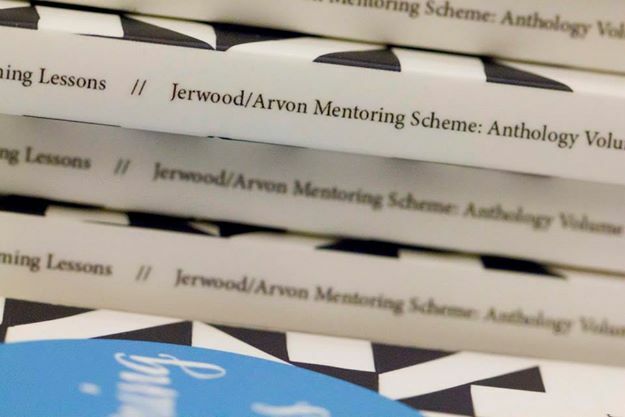 “I think this is the next logical step in terms of building up a body of work for a pamphlet and/or collection” – a glance through some Acknowledgements pages suggests to me that you’ve enough material for a book (or 2!) already, though I suppose the bar’s set higher for a first collection. Niall Campbell’s been my tip-for-the-top for a while.